ICANN is the acronym for the Internet Corporation for Assigned Names and Numbers. ICANN is a non-profit organization that is responsible for ensuring the stability, integrity, and secure operation of the Internet. The first step to buying a domain name is to look for a registrar that is accredited by ICANN. Once you buy the domain name, the registrar will be required by the laws and provisions governing ICANN to enter your personal information into its WHOIS database. The WHOIS database is a directory that is highly searchable. It can be accessed free-of-charge by any person who wants to verify the authenticity and availability of a domain name. What personal information will be uploaded? If you are the type of person who does not want to give out these types of personal information to public listings, you should register your domain as private. By choosing private domain registration for your domain name, your personal information in the WHOIS database will be replaced by those of the registrar’s own information. In fact, some domain name registrars can even come up with a unique email address that will be listed as your contact email address on the WHOIS database. This way, your company or personal email address will remain secure from individuals who have malicious intent. Despite the potential risks to personal information, there are businesses that opt for business registration. We understand the importance of promotion and the value of establishing trust and transparency with the market. However, there are other ways – much safer and lower risk ways – of promoting the business. That is why at Mountaintop, we always recommend that our clients register their domain name as private. Is private domain registration an add-on service? Yes, which means opting for it will entail a fee that is separate from the usual cost of registering a domain name. Think of the fee as your insurance premium for keeping your personal information safe from hackers, online criminals, and other unsavory groups on the Internet. If your personal information is made public, it is not just the hackers you should worry about. Your information can be used by marketers, suppliers, and competitors to serve their own purposes. You might find yourself inundated with phone calls from telemarketers. Your inbox could be flooded with product or service offerings from vendors and suppliers. With your key information out, you may leave your business vulnerable to cutthroat strategies from your competitors. For example, an aggressive but unscrupulous competitor may contract the services of a cyber-criminal to run phishing expeditions on your email. A competitor may try to get spies to procure sensitive information from you via phone. We will discuss the importance of keeping your email secure toward the end of the article. You may be surprised at the extent of damage you can incur by having your email compromised. In business, it is always a good practice to keep your sensitive or confidential data as FYEO or For Your Eyes Only. Information such as email addresses, phone numbers, and business address should be given judiciously. Stakeholders – or those who are part of your value chain. This shortlist includes qualified suppliers/ vendors, current and prospective clients, management and select personnel, and business partners. Strategic Partners – Strategic Partners are entities – companies or individuals – where formal arrangements are entered into for the benefit of your business. An example would be an outsourcing agreement between you and an outsourcing service provider. As we mentioned, you can promote your business without having to disclose personal information. A good example would be to run a Digital Marketing campaign. A Digital Marketing strategy that incorporates processes such as SEO, content marketing, social media marketing, and PPC or Pay-Per-Click Advertising can successfully increase awareness and enhance the Internet profile of your business without revealing your personal information. In our article, “Why Is It More Important To Secure Your Data In 2019”, we shared our opinion that acts of cyber-criminality will continue to increase over the next few years. Cyber-crime has become a lucrative industry. Highly sensitive data such as Social Security and bank account numbers, credit card numbers, birth dates, email addresses, and phone numbers can fetch a good price on the dark web. Driven by profit, these cyber-criminals are motivated to stay ahead of the cyber-security experts. In fact, agencies such as the CIA and the FBI are fighting fire-with-fire by hiring hackers to come up with more powerful anti-malware tools and programs. It is a good idea to err on the side of caution and invest in programs that will protect your personal data. Last year, we launched our Extreme WordPress Care Plans. These programs are designed to help our clients manage their websites, make sure they are running in perfect condition, and protected from malicious attacks. As an entrepreneur, your time is best dedicated to the core functions of your business. Leave domain security to us! You can sleep well knowing that your website is under close guard and watch 24/7. If there is a singular way or process that best represents our online activity, it would be the email. We check our emails more than we check our social media accounts. We use our email to sign up for newsletters or gain access to some websites. Whenever you run online banking transactions, chances are your email address is needed to verify your identity. Online shopping, social media… the list goes on. Your email is the key that allows you to gain entry into these platforms. If someone grabs ahold of your email address, these platforms can be compromised. Can you imagine what would happen if someone gained access to your webmail? He could easily search and find every website you frequent including your online banking platform. All the hacker needs to do is to request the website for a password reset. The hacker can also view your Inbox and sent messages. With that information, the hacker can establish your weekly calendar of activities and determine your whereabouts. The hacker can find out your schedule of online conference calls with clients and eavesdrop on the discussion. If you save work on Google Drive, Google Docs, and Google Sheets, your documents can be stolen by the hacker. We bring these scenarios up with clients whenever we discuss the importance of registering their domain as private. As we mentioned earlier in this article, be judicious when it comes to giving out personal information such as email. On the Internet, you do not know who is searching and watching. Whenever you are venturing into the Internet, always think “safety first”. As popular and as accessible as the Internet is, it remains The Great Unknown. Keep your assets secure and protected by adding layers of security at every opportunity. Start by registering your domain as private. Have you experienced any breach in security? Please feel free to share in the comments section. Let our readers know how you dealt with the situation and what you learned from the experience. If you want to know more about our web design services and our Extreme WordPress Care Plans, please feel free to give us a call or an email. At Mountaintop Web Design, we’re in the business of providing top-notch design services, competitive prices, and consultancy that works with clients through all of their needs and goals. We thrive on helping customers build their companies, and our understanding of what makes sites stand out to audiences has fueled our ascension in the creative and design worlds. 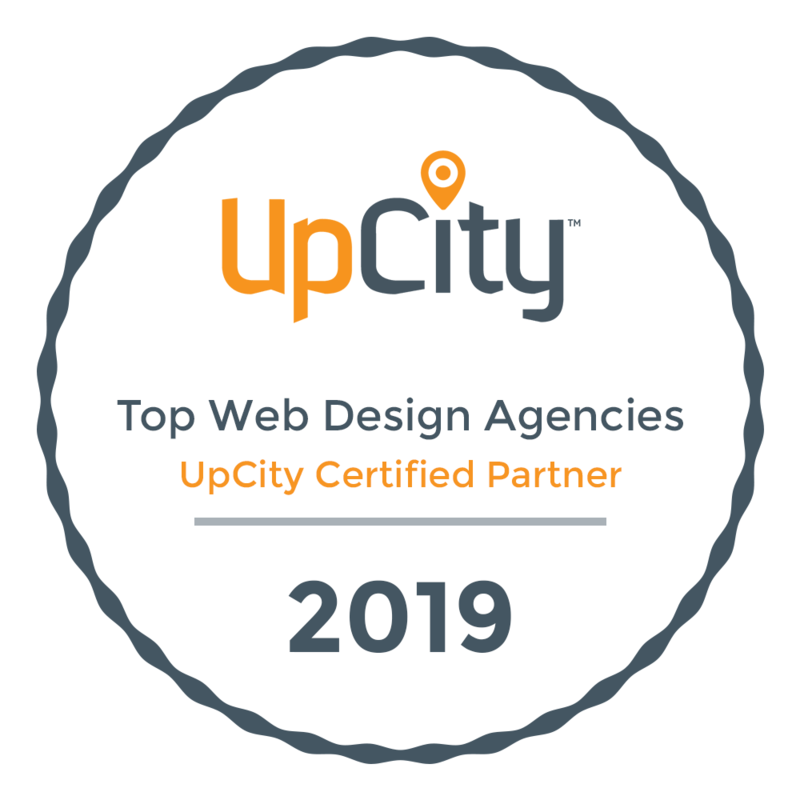 Clutch, a B2B research and reviews agency in Washington, D.C., recently published its listing of Denver’s best web design companies, and Mountaintop took home a spot within the top 15 firms. Earning this distinction in a field of nearly 300 competitors speaks highly about our market presence, client service, and industry experience, so we’re very proud to have this recognition of our hard work and talent. The Manifest and Visual Objects, sister companies of Clutch, also have praised Mountaintop. Business news website The Manifest, which shares insight about various industries and trends, named us a top-performing SEO company, touting our global outreach. Visual Objects, a portfolio curation platform, likewise applauded us, featuring our experience among the work of other leading design companies. Acclaim from established business sources like Clutch, The Manifest, and Visual Objects means a great deal to our team, but we also wanted to thank our clients for their positive feedback. We really appreciate all of the support that we’ve received as we continue to make our mark in the creative and design industries, and Mountaintop is proud to have helped so many customers and companies around the world. If you’re interested in learning more about our approach or experience, please feel free to connect with us here. We look forward to charting out strategies for your development and seeing how we can succeed together! You have no idea what to say. It feels like your whole life just flashed before your eyes. More like, your retirement plans. Why would a company entrust millions of dollars of investments to a partner who is not even updated with the inflation rate? If you don’t know the latest trends and developments on a fundamental concept in macroeconomics, what more about key political issues? Peace and order? You don’t have to be a business dealing with foreign partners to stay updated on business news. Every business owner regardless of industry or scale should make the news a part of his/her daily work schedule. Reading the latest business news will not take too much time. You can go through various publications and news websites while having a 30-minute coffee break. It will certainly make your coffee break time a more productive one. What Does Business News Have To Do With My Private Business? Everything. For the reason that we are living in a globalized economy, what happens in one region is no longer contained in that region. Instead, it has repercussions in other parts of the world. Do you remember the Greek Referendum of 2011? Greece held a referendum for the people to decide on whether the country should leave the European Union (EU) or stay. At stake was an economic bailout package from the EU which could help Greece get back on its feet. However, the bailout package had strict and very harsh austerity measures. The referendum kept the world on pins and needles. If Greece decided to leave the EU, it would effectively default on its debts. The shockwaves would surely be felt throughout Europe, most notably the biggest lender, Germany. There were also repercussions worldwide particularly for countries such as the United States which negotiated large-scale trade agreements with the EU. The Greek Referendum of 2011 has its roots in 2008 when the Euro Zone realized Greece would have difficulty paying off its loans to the EU. Around this time, a number of multinational companies such as Bank of America, Deutsche Bank, JP Morgan, and IBM started to pivot away from Europe and began to set up operations in Asia which did not have large exposure in the EU. In fact, the problems that plagued the Euro Zone helped transform Asia as the world’s new seat of power. Asia is considered by many as the world’s fastest-growing region. Assuming you own a bakery, how would these global events affect my business? When there are fewer investments in your country, there will be fewer opportunities available in terms of jobs. With more people entering the unemployed, aggregate demand will be reduced. People will be spending less and saving more. If your country is import-dependent, fewer investments can lead to a weaker currency. The cost of raw materials will be more expensive and will have an impact on your profit margins. Petroleum is a major factor of production. It is a significant cost component in the manufacturing and transportation of products. If petroleum prices rise, everything rises. There will be a cascading effect – from the prices of raw materials to rental rates. The problem is worse if you have a weak currency. So what will you do in the face of rising cost of raw materials, rent, and lower aggregate demand? Should you raise prices right away? An alternative course of action is to change your business model. You can set up an e-commerce website for your bakery where customers can place their orders. This way, you open up a new stream of revenue for your business. The cost of maintaining an e-commerce website is not much. Also, you can bake on demand and thus, reduce your inventory. If the volume of sales improves, you can put a temporary freeze on any price increase. Eventually, you can do a comparative cost analysis. The result of the study will help you decide on whether to keep the brick-and-mortar bakery open or become a 100% online bakery business. As we just showed you, the effects of developments in other parts of the world will have repercussions on other countries and even on small businesses. With the Greek Referendum of 2011, the businesses that planned their alternative courses of action in 2008-2009, were able to survive and even thrive in the face of worldwide turmoil. Don’t assume that because you own a small or medium scale business that such major events will not affect you. When it comes to running a business, you must always be prepared to deal with uncertainties. Keeping yourself updated on the latest developments around the world – and in your own backyard – is a step in the right direction. Contrary to what some people think, getting immersed in business news will not make you paranoid. The root of this thinking comes from the popular perception that news only focuses on negative developments. To a certain extent, there is some truth to this. Media will tend to focus on negative developments because it attracts more interest. When you read business news, your purpose is to analyze the development and assess how it would affect your own business. For example, if the government increased the minimum wage, how would it affect your cost of operations? Would it affect your profit margins significantly? How would the increase in the minimum wage rate affect your plans to expand your business? Would you consider outsourcing some tasks to streamline costs? Reading the business news creates a cycle of “Question and Answer” which will help you come up with courses of action that could protect your business when conditions turn adverse in the future. The news is delivered straight to the point without fluff or filler content. The articles are very well-written and kept brief and concise. Reporting is generally unbiased and informative. You can find news that fits your business or industry. We have included the link to The Morning Brew. Get your news hot and fresh off the press every morning – and it is for free! Because of the Internet, people have more access to information. Your customers can easily be influenced by what they see and read on the Internet. In a few months – even weeks – the demographic that composes your audience may undergo significant changes. The news also provides content that can help you develop a better understanding of your customer. Some publications and websites frequently share data on changing consumer behavior. You can come across informative articles that discuss what customers expect from retailers and manufacturers. There are websites that feature opinion pieces from resource people who are attuned with the pulse of the market. They have the ability to clearly articulate important information that you could use for business planning purposes. Businesses that are involved in technology would greatly benefit from news about changing demand preferences. What kinds of apps are people looking for? For the reason that sales of PC continue to decline, will you campaign harder for mobile responsive design? What types of hardware for smartphones are in demand? Creating a buyer’s profile is an important part of running a business. You should always keep track of what your buyers or followers need. To run a successful business, you must also keep track of your competitors. Find out how they are performing in the industry. Are they introducing new products and services in the market? Whenever an innovative product or game-changing service is launched, you can be sure that the news media will cover it. In some cases, the company – your competitor – will pay for the press release announcing the groundbreaking innovation. Keep in mind that your competitors are also doing research on the industry and possibly, on you. Changes in their business development plans are a result of the investments the company has made on its research efforts. By conducting research on your industry and competitors, you will also know which products or services are no longer in demand. You can uncover which competitors have closed down. From there, you can find out the reasons which contributed to their downfall. In some ways, keeping a daily schedule of reading the business news is like being in university. You learn new things every day. And if you don’t know some of the terms discussed or if the article appears vague, you will be compelled to do research. When you were studying in the university, learning concepts such as depreciation, trade and budget deficits, Gross Domestic Product, and deregulation seemed pointless. Now that you are running a business, you have developed a greater appreciation for economics because you can apply them to real-life situations. You may have to go back to your old college textbooks to refresh your memory on what depreciation is. However, more than just learning its definition, you will clearly understand what depreciation is and how it can impact your business. Knowledge is power. That saying is 100% accurate and true. When you are updated in business news, you will never attend a business meeting unprepared. An important rule to remember when reading business news is that it is an exercise in comprehension, not memory work. Do not memorize terms, names, dates, and events. A more effective approach would be to understand the information in the article; analyze it and apply the data to your own business. Likewise, you will function more comfortably in a networking event. For sure, some of the people that you will attempt to connect with would like to find out your opinions on current events and the prevailing issues in the industry. How you articulate your opinions will definitely influence the outcome of your networking efforts. People who are impressed with your knowledge would certainly want to connect with you and potentially do business in the future. Although reading the news is usually done during break time or before the commencement of work, it can still qualify as part of the productive time. While you may occasionally skim through the funnies, sports, or entertainment, you must always prioritize business news. For your business news-reading activity to become more productive, you should follow only the most reliable sources of information. As we suggested earlier, The Morning Brew is a great source of news. Sign up for a free subscription and get your fix of business news with your daily dose of caffeine every morning. Do you have a particular favorite news website? Please feel free to share your recommendations on the comments section below. And if you enjoyed this article, give us a call and we can help you write amazing and compelling content that will keep your business top-of-mind. The best outsourcing arrangements are those that grow from a client-service provider agreement and into a strategic partnership. After all, there should be mutual interest in order for the outsourcing venture to succeed. As the client, you want to be assured of high-quality work on a consistent basis. As far as the outsourcing partner is concerned, the objective is to secure a long-term engagement of services. The concept of outsourcing is effective in theory. In every agreement, there are always 2 parties involved. Agreements establish the obligations between the parties. If companies are defined by their individual values, purpose, and vision then conflicts are very much possible between the parties involved in the agreement. As in real-life, these conflicts must be mitigated, managed, and resolved for the relationship to succeed. Thus, you must always qualify your prospective outsourcing service provider before signing on the dotted line. Why do you want to outsource? Reduce Cost – This remains the number one reason why companies outsource. In times of great economic uncertainty and volatility, it is understandable why businesses would prioritize cost-cutting measures. However, if you put too much emphasis on cost, you might end up commoditizing the process of outsourcing. One of the biggest mistakes by first-time outsources is to focus on pricing. The process of finding the right outsourcing partner becomes a bidding war. They end up choosing the outsourcing partner based on the lowest price not on capability. Eventually, the outsourcing arrangement becomes a representative of the saying, “Penny-wise, pound-foolish”. The company could have selected an outsourcing partner that could render better quality work but instead chose one that offered lower rates. It is perfectly fine to factor in costs in the selection process. However, set parameters and be disciplined about it. In the end, the quality of work must always take precedence over pricing. Now, imagine if you outsourced email filtering to a Virtual Assistant? The time that you previously spent filtering email can now be repurposed to managing tasks that are directly related to your business. Let’s expand the coverage of outsourcing. In addition to email filtering, outsource calendar management, phone handling, appointment setting, market research, content writing, digital marketing, web management, customer support, graphic design, accounting, payroll preparation, human resources, and SEO. You will have more time to manage the tasks that will contribute directly to your business’ bottom-line while ensuring all the other functions are properly attended to. Improve the Quality of Work – Again, let us emphasize the need to contract the services of a qualified third-party service provider. Finding the right outsourcing partner is similar to finding the right employee for the company. You want to make sure you hire the best person for the job. When you outsource tasks or services, you have to be 100% sure the prospective outsourcing company has the requisite skills, experience, and expertise to guarantee you top quality work every time. Thus, outsourcing not only saves you money but it also offers you the opportunity to improve the quality of work because you are hiring experts at a lower cost. In our case, we have clients who initially hired us to design and develop their websites. Eventually, we were contracted to manage their websites and protect the assets from hackers, phishing expeditions, and other malicious attacks. Over time, these clients asked us to run their digital marketing campaigns because they do not have the time or expertise to learn digital marketing. By outsourcing digital marketing to Mountaintop Web Design, our clients were able to save money, improve the quality of work, and lower the risk of incurring costly mistakes. Integrate New Technologies, Systems, and Techniques – There are businesses that outsource because they want to scale up or improve their business model while limiting capital risk exposure. The outsourcing partner becomes a “testing laboratory” where systems are designed, developed, and tested. A system is composed of different processes and frameworks. A company can run any combination of processes and frameworks and assess which ones deliver the best results. For the reason that outsourcing carries the benefits of comparative cost advantages and economies of scale, capital risk exposure is kept to a minimum. You can read more about the benefits of outsourcing in our article “How Outsourcing Tasks Can Save You Money – And Build Your Business”. Is it possible to have more than one reason to outsource? Yes. However, it would be advisable to prioritize the reasons why you plan to outsource. From there, you can prepare a mission statement or an Executive Summary that best encapsulates your purpose. Whether you are thinking of outsourcing to a local or international service provider, you must always do comprehensive research on the potential partners as well as the process itself. Learn As Much As You Can About Outsourcing – We have written a number of articles on outsourcing. In addition to the link we provided earlier, you can also read “Outsource To Build Your Business – Which Tasks To Outsource”. These are excellent sources of information. Our articles are well-researched. Other than the traditional research methodology, we interviewed businesses that have outsourced to verify or closely validate online data. You can be assured that the information you find in these articles closely approximate real-world experiences in outsourcing. Likewise, you should do your own research and learn as much as you can about outsourcing. What kind of studies should you come up with? Market/Industry Study – Find out the trends in the industry; which regions are growing and the functions that are commonly outsourced. Feasibility Study – Determine the numbers for the project. What are the initial costs? How much cost savings should you expect? What are your revenue targets? What are the risk factors? Talk To Individuals/Companies That Have Outsourced – One of the best ways to develop a deeper understanding of a concept is to talk to those who have done it. Review your list of contacts in your email or social media and find out who among them have experience in outsourcing. Reach out and invite them for a 2-hour meeting to discuss the pros and cons of outsourcing. You can also join business groups in social media platforms such as LinkedIn, Facebook, and Google+. Initiate a discussion on outsourcing. For sure, you will get valuable inputs from group members. Contact Agencies – There are agencies that can connect you with potential outsourcing service providers. The advantage of using the services of an agency is that the service providers in their list have already been vetted. You can even request for recommendations from previous clients. For example, if you plan to outsource services to the Philippines, you can reach out to the Contact Center Association of the Philippines (CCAP) and the Business Process Association of the Philippines (BPAP) which are the regulating agencies of the outsourcing industry. CCAP and BPAP can recommend a list of member-outsourcing service providers that are in good standing. Do Due Diligence Work – Outsourcing is a growth industry. Thus, you should expect a few unscrupulous groups to abuse the opportunity and scam unsuspecting companies. Due diligence should always be part of the research process. Once you have drawn up a shortlist of prospective outsourcing partners, run a quick check to find out if they have an “unsavory” past. Sometimes a simple Google check will yield “interesting” results. Of course, these pieces of information still have to be verified. At the very least, you can raise a few red flags on a few potential outsourcing partners. Some companies put up special groups or teams that are tasked to conduct comprehensive research on outsourcing. The research is compiled and organized into report form and distributed to the company’s main decision makers. In some cases, the company sends a team to visit the region of interest. For example, company “A” may send a small delegation to India to meet with prospective outsourcing partners. When you are confident on your list of prospective outsourcing partners, ask them to fill out an RFI or Request For Information sheet. You should also ask the prospective outsourcing partner to attach a copy of its business papers – SEC Articles of Incorporation – as proof that the company is legitimate. Are there potential red flags you should look out for? The RFI is a standard document in outsourcing. Any party that refuses to comply should be scratched out from your list of potential partners. If you were hiring a full-time employee, would you hire the first person who applied for the job? Our advice to you is “No”. It’s not because the first person is the least qualified of all the applicants. However, by hiring right away you forego the opportunity of comparing the candidates. The same approach should be applied when choosing your outsourcing service provider. You must design and develop a partner qualifying process in order to select the best candidate from the list. Technically, the RFI is part of the qualifying process. Set aside the candidates that have the most enticing RFI profiles. The next step is to invite the prospective outsourcing partner to an online interview. You can use Skype, Viber, or any other audio-visual platform that you are comfortable with. What is the timeline for the commencement of operations? What is their hiring process? How do they source talent? How will the prospect guarantee the protection, security, and integrity of all shared data? What are their disaster recovery plans? Do they have a built-in career and succession planning program in place for their people? Do they have a Process Improvement System in place? How often are personnel re-oriented or re-trained? Do they have a grading and employee evaluation process in place? If you are considering an outsourcing partner from a remote location such as the Philippines and India, you will have to discuss the issue of language, cultural, and traditional barriers. Last but certainly not the least, make sure the engagement is covered by contracts. What contracts are we referring to? Service Level Agreement – Defines the level of service and the guidelines/ standards for maintaining the quality of work. Confidentiality Agreement – This document is intended to protect the interest and all information that is shared between both parties. Memorandum of Agreement – Summarizes the conditions of the agreement between the Client and the Outsourcing Partner. Includes a detailed summary of the obligations of each party. Make sure the agreements are notarized. A copy must be sent to the Outsourcing partner. While the shortest distance between 2 points is a straight line, the same can’t be said about the road to success. There will be steep climbs to make, sharp drops to avoid, and dangerous curves to navigate. The uncertain nature of business makes success fleeting for many entrepreneurs. If revenue targets are not met and you don’t have deep pockets, it will be difficult to navigate your business through the rough patches. The usual course of action is to cut costs. However, once you reach the equilibrium point where every unit of cost that is cut results in diminished quality of output, the cost-cutting measure becomes counter-productive to business. Instead of cutting costs, streamline them through outsourcing. Delegate or transfer tasks, responsibilities, even entire departments to qualified third-party service providers who can maintain or improve the quality of output at lower costs. If you enjoyed this article, please feel free to share it especially with someone who is thinking about outsourcing. And if you want to know how outsourcing can help your business grow despite tough times, please feel free to give us a call or an email. We will be more than happy to discuss the benefits of outsourcing with you via a free 30-minute consultation. Outsource To Build Your Business – Which Tasks Should You Outsource? While many employees spend their free time daydreaming of becoming financially independent, the entrepreneur is working to make the dream a reality. That is why entrepreneurs are risk-takers by nature. Entrepreneurs are willing to take that all-important first step of breaking free from the chains of the 9-to-5 grind and take command of their of their own destiny. Instead of driving someone else’s business, they go behind the wheel and follow the course they have charted for their own business success. Yet, sometimes these very same attributes – ambition, drive, and dedication – can become an entrepreneur’s own worst enemies. They end up taking on too many tasks most of which are administrative in nature. As a result, a big chunk of their waking hours are spent – rather, wasted – attending to functions that have no direct contribution to their bottom line. The workday becomes unproductive. The essential tasks or the core functions of the business are left unattended. Goals are not met. Business targets become farther away today compared to yesterday. By taking on non-essential tasks, the entrepreneur ends up working for his/her business instead of on his/her business. Ironically, the entrepreneur has become an employee of his/her own business. Is there a way or a process the entrepreneur can use so he/she can focus on the main functions of the business without overlooking the administrative tasks? The Solution: Outsource Tasks And/Or Services! Would you rather spend 2 hours filtering your Inbox or working on a client’s project? Would you like it if your phone keeps ringing every 30 minutes while you are working on your client’s project? Would it be okay with you if the Internet provider cut its service because you unwittingly forgot to pay the latest invoice? If you answered “No” to these questions, it is time for you to consider outsourcing tasks of your business. Outsourcing is the process of delegating or transferring predetermined tasks or functions to a third-party service provider. You can read more about the benefits of outsourcing in our article “How Outsourcing Tasks Can Save You Tons Of Money – And Build Your Business”. In the article, we presented an accounting of how much money you can save through outsourcing. Essentially, outsourcing is the ideal strategy for entrepreneurs, especially those in the start-up stage, because it is a low-cost, high-value solution. From the article, you will come to understand that with outsourcing, costs are easily managed. Outsourcing will present you with options that you can use to stretch your finances without compromising the quality of goods and services. FTE Vs. Outsourced Talent: Which Is The Better Option? Cost savings are possible because you are taking advantage of comparative advantages that are generated by outsourcing foremost of which is labor. With outsourcing, you are not hiring full-time employees or FTEs. Instead, you are contracting the services of qualified people or agencies. This distinction between FTE and contracted services is very important! As you can see, flexibility is the key differentiator between an outsourced talent and an FTE. When you contract services, you are not obligated by law to pay a minimum wage or designate the mandated work hours per week. This makes it possible to be more financially flexible with the outsourced talent compared to hiring an FTE. Contract the services of a virtual assistant who can manage your administrative tasks 10 hours a week. Outsource content writing services and pay the outsourced talent on a per word or per productive hour basis. Outsource web development/management services to Mountaintop Web Design and pay fixed charges on a monthly basis. By agreeing on the conditions for payment, you are assured of higher productivity and better quality of work. According to a study that was presented by productivity coach Steve Pavlina, the average American office worker only puts in 90 minutes of productive work every day. That is 90 minutes out of 480 total work minutes every day or a productivity rating of only 19%! Yet, America remains the strongest economy in the world. What happened to the remaining 390 minutes? According to Pavlina, those hours are spent surfing the Internet, taking extended water cooler/coffee breaks, napping, checking their cell phones, and reading the news. Guess what? Those hours are paid. This means every time an FTE chit-chats with a another FTE about the latest Netflix movie, you are paying for those minutes. By outsourcing, you are also increasing your level of productivity because now you can place greater focus on the main enterprise of your business. A study presented by the Harvard Business Review showed that at most, people can only maintain 100% focus on a given task for 90 minutes. After completing the task, you have to rest the mind for at least 10 minutes. Assuming an 8-hour work schedule, this means that by outsourcing tasks, you can target 4 to 5 tasks to accomplish every day. That is 360 minutes out of 480 minutes per day or a productivity rating of 75%! In contrast, a fully-paid FTE who can tender only 90 minutes of productive time per day will possibly only accomplish 1 task per day. Which Tasks Should You Outsource? Hopefully, at this point, we have convinced you of how outsourcing can build your business. The question we will answer in this section is which tasks you should outsource. In the future, we will present a more detailed and comprehensive article on how to take a strategic approach to outsourcing that can scale up your business. For now, we will show you how to identify the tasks that you should outsource in order to streamline costs and increase productivity. Which tasks are non-essential or not directly related to my business’ main enterprise? Which tasks will require a higher level of expertise and greater experience? Which tasks are repetitive in nature? Which tasks do I have the tendency to overlook or forget? Which tasks do I greatly dislike doing? For many entrepreneurs, administrative tasks are the necessary evils of running a business. These tasks are categorized as non-essentials, meaning they are not directly related to your business’ main enterprise. However, they play an essential role because administrative tasks keep your business organized and running. Your business may need to introduce new products and services that require greater skill, a higher level of expertise, and longer tenure. These are skills that you cannot become proficient at simply by watching YouTube videos or reading a “For Dummies” instructional. Otherwise, the quality of work will suffer. Many businesses stunt their growth because they are only focused on new market development. In so doing, they neglect their current market base or end users of their products or services. Don’t forget your current end users. They are already your customers. The cost of maintaining them is lower than creating new markets for your products and services. And the returns are much higher because your current end users already made the decision to choose you over the competition. Having great customer service assures your existing end users that their needs and concerns are always met and addressed right away. It’s called the back-office because the people who work here are not seen but otherwise play a valuable role in running your business. You can outsource these tasks to qualified third-party service providers and still get great results. To better understand the value of outsourcing, let’s delve into the mind of the entrepreneur. Entrepreneurs or to be more specific, small to medium scale business owners, are limited by their resources. Even the most successful ones do not have the benefit of liquidity compared to large scale businesses. This is, of course, part of the growth process. As a small business owner, the immediate challenge is to maintain liquidity before achieving profitability. Effective cash flow management is very important. Thus, an entrepreneur strives to keep operations as lean as possible. Instead of hiring employees to help him/her run the show, they take on most, if not all of the tasks of the business. Ask any entrepreneur and they will tell there is nothing they can’t do. Like a superhero, an entrepreneur will take on any challenge and believe they can win it. The reality is, victories are only short-term. Over the long-run, the number of unproductive workdays has accumulated to a point that the business starts to suffer. Your best option is to outsource specific tasks or functions. Not only will outsourcing services greatly reduce the costs of running a business but the strategy will help you increase productivity without compromising the quality of work. If you enjoyed this article and know people who would greatly benefit from it, please feel free to share! And if you would like to know how Mountaintop can help you get started on your own outsourcing solution, please do not hesitate to give us a call. You can consult with us for 30 minutes free of charge. https://mountaintopwebdesign.com/wp-content/uploads/2018/06/email-campaign.jpg 667 1000 Josiah Bussing https://mountaintopwebdesign.com/wp-content/uploads/2016/01/website.png Josiah Bussing2019-03-18 09:00:192019-03-14 10:33:58Outsource To Build Your Business - Which Tasks Should You Outsource?